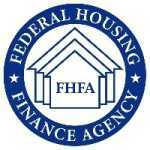 WASHINGTON, D.C. – December 10, 2013 – (RealEstateRama) — The Federal Housing Finance Agency (FHFA) today took additional steps toward fulfilling the Strategic Plan for Enterprise Conservatorships that FHFA published in February 2012. That Plan established a conservator goal of gradually contracting Freddie Mac and Fannie Mae’s dominant presence in the marketplace while simplifying and shrinking their operations. The basic premise behind the “contract” goal is that with an uncertain future and a general desire for private capital to re-enter the market, the companies’ market presence should be reduced gradually over time. • The up-front 25 basis point adverse market fee that has been assessed on all mortgages purchased by Freddie Mac and Fannie Mae since 2008 is being eliminated except in the four states whose foreclosure carrying costs are more than two standard deviations greater than the national average. FHFA expects these increases and decreases to produce an overall average g-fee increase of approximately 11 basis points based on loan purchases of Fannie Mae and Freddie Mac in the third quarter of 2013. This represents an average increase of 14 basis points on typical 30-year mortgages and 4 basis points on 15-year mortgages. 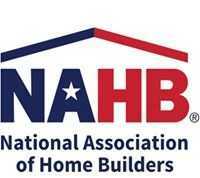 This increase follows FHFA-directed increases of 10 basis points each announced in December 2011 and August 2012. “Today’s price changes improve the relationship between g-fees and risk,” said FHFA Acting Director Edward J. DeMarco. “The new pricing continues the gradual progression towards more market-based prices, closer to the pricing one might expect to see if mortgage credit risk was borne solely by private capital. The price changes provide better protection of and return to taxpayers, who are providing the capital support that keeps these companies operating. These changes should encourage further return of private capital to the mortgage market,” DeMarco said. • the President’s August, 2013 request for FHFA to reduce taxpayers’ credit exposure by accelerating actions to draw private capital into the market to stand ahead of the Fannie Mae and Freddie Mac guarantee. The g-fee changes being made today, including the improved risk sensitivity of the pricing framework, are important steps to enabling Freddie Mac and Fannie Mae to deepen and broaden the risk-sharing transactions with private investors they initiated this year. In the coming years, FHFA expects risk-sharing transactions to cover a growing portion of the companies’ new business and for the amount of risk transferred to private capital to continue to increase. Elimination of the across-the-board adverse market fee (except as noted) provides recognition that the nationwide stress in housing markets has eased. The experience with mortgage defaults the past several years, however, has amply demonstrated that mortgage investors and guarantors have significantly greater costs carrying out foreclosures in the few states that stand far apart from the rest of the country. As described in more detail in the paper entitled State-Level Guarantee Fee Analysis, maintaining the 25 basis point adverse market fee in New York, Florida, New Jersey and Connecticut will provide taxpayers, as investors in Freddie Mac and Fannie Mae, an approximate compensation for the difference in foreclosure costs in those states relative to the average costs across the country. FHFA anticipates that this adverse market fee will be re-evaluated and refined at least annually. While the broad adverse market fee is being eliminated, other changes to the up-front pricing grid offset this decrease for certain mortgages. For loans exchanged for mortgage-backed securities, the price changes will be effective with settlements starting April 1, 2014. For loans sold for cash, the price changes will be effective with commitments starting March 1, 2014. Freddie Mac and Fannie Mae will work directly with lenders to implement the changes. Also today, FHFA released its fifth annual report on single-family guarantee fees, covering the years 2011 and 2012. The g-fee changes being announced today respond in part to the findings in this report regarding shortfalls in the risk-based pricing at the two companies.